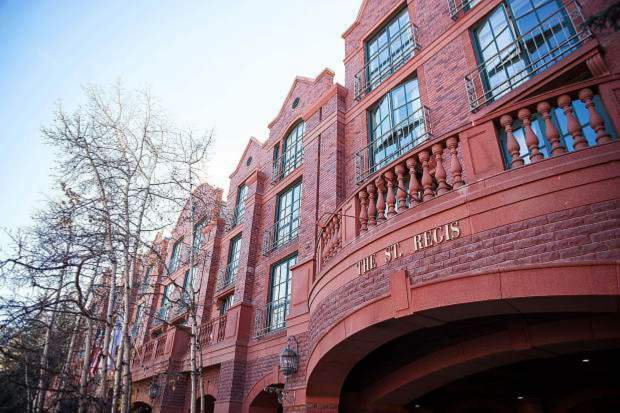 Nearly one-fifth of the St. Regis Aspen resort hotel has sold for $18 million through digital tokens, according to a company announcement made Tuesday. Originally developed as the accounting method for the virtual currency Bitcoin, blockchains — which use what’s known as distributed ledger technology (DLT) — are appearing in a variety of commercial applications today. Currently, the technology is primarily used to verify transactions, within digital currencies though it is possible to digitize, code and insert practically any document into the blockchain. Doing so creates an indelible record that cannot be changed; furthermore, the record’s authenticity can be verified by the entire community using the blockchain instead of a single centralized authority. The ownership group behind the St. Regis Aspen announced Tuesday the selling off of 18.9 percent of the resort hotel through $18 million in digital tokens. Buyers of the tokens, sold at $1 each through a real estate offering called Aspen Digital, had to be accredited investors willing to purchase at least 10,000 tokens. New York-based asset manager Elevated Returns, which owns the St. Regis, will hold onto the remaining 81.1 percent of the 179-room luxury hotel. A spokesman for Elevated would not identify the new minority owners. The sell-off of nearly one-fifth of the hotel comes after Elevated Returns President Stephane De Baets retreated in March on his mission to take nearly one-half of the hotel public on the New York Stock Exchange. The hotel would have been sold as a single-asset real estate investment trust, with investors having to put down at least $2,000 — at $20 a share — to buy into the hotel. The IPO would have accounted for 49 percent of the hotel, which is located at the base of Aspen Mountain. In the latest attempt to attract investors to the St. Regis Aspen, the digital currency, called Aspen Coins, could be purchased with U.S. dollars as well as Bitcoin and Ether. Whether it was through an IPO or digitalized coins, Elevated had heralded either investment approach as revolutionary. The IPO was touted as the first of its kind in the United States for a single-asset real estate investment trust, commonly called an REIT. The St. Regis offering was made available directly through the brokerage firm Templum Markets LLC. Represented by De Baets’ Bangkok-based OptAsia Capital Co. Ltd, 315 Dean Associates Inc. acquired the five-star St. Regis for $70 million in September 2010 during the recession. Since then, $50 million has been put into renovations. The hotel opened in 1992 as a Ritz-Carlton Hotel before being converted to the St. Regis in 1998.